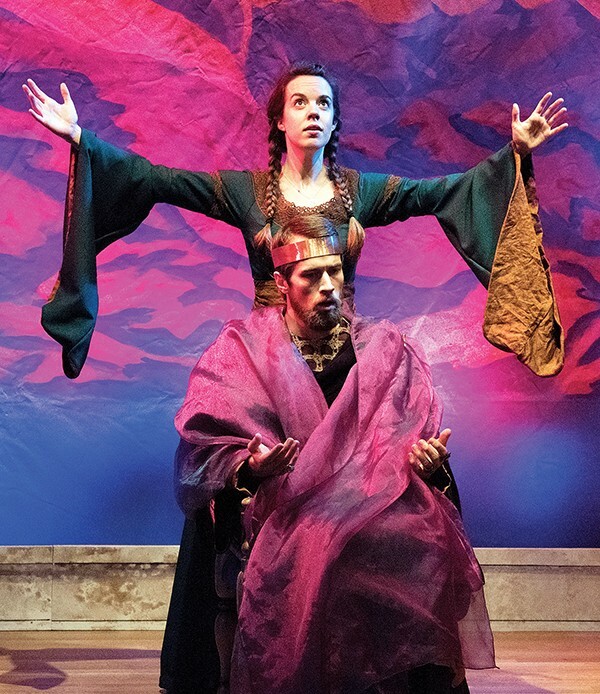 Tennessee Shakespeare Company (TSC) has dubbed its new season, "Brave New World," and considering the moment, that sounds about right. Memphis' only professional, classically bent troupe has spent the last decade wandering about East Memphis and Germantown as peripatetic tenants. The company is currently occupying a considerable property of its very own — the building left behind when Ballet Memphis moved to Overton Square. There's still a lot of renovation in the works, but little by little all the pieces are falling into place. The 11th season launches with Two Gentlemen of Verona, a comedy of love and friendship gone awry. That's followed by Macbeth, Shakespeare's macabre tale of greed and ghosts. Major productions end with a revival of As You Like It, the first play TSC ever produced. The season continues with the latest installment of the company's popular Southern Literary Salon, and its tenth Broadway gala, showcasing a yet-to-be-announced headliner. It’s free, fun, fast, and for everyone! Last season’s inaugural Shout-Out Series returns by popular demand with 11 performances at 10 outdoor/indoor locations throughout Shelby County. Ideal for families and picnics, this quick-fire version of Two Gents provides a rare opportunity to laugh at Shakespeare’s first comedy – and perhaps even his very first play. He takes a well-known comedy of a love triangle and re-shapes it into a love rectangle, introduces strong female characters (one of whom takes on Shakespeare’s first “pants role” before the more famous Viola and Rosalind do), creates wise-cracking servants Speed and Launce, and even adds bandits to the mix. But for all that, the play remains famous for one particular role: Crab the dog. Even as the story ranges from the shocking to the hilarious, Crab sits non-plussed. No tickets or reservations needed. Patrons are encouraged to come early for available seating. A leader lusting for power believes he is above the law of humans, morality, and God. His atrocities will be pardoned, he believes. For his own prosperity, he claims all people and the world will give way, that he may lie, that he may kill, that he is impenetrable. But Shakespeare revels in pitting the man persistently against his own better angels. Veterans Paul Kiernan* and Caley Milliken* return to TSC to play the Macbeths, with Dave Demke*, Gabriel Vaughan*, Michael Khanlarian, Claire Hayner, Nic Picou, and Blake Currie. The full cast will be announced at a later date. Tickets are $39. The October 18 Preview performance is $19. October 25 and November 1 are Free Will Kids’ Nights: children 17 years and younger are admitted free when accompanied by a paying/attending guardian (call the Box Office to secure Free Will tickets). Seniors (62+): $34. Students (18+): $19. 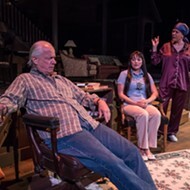 October 19 is Opening Night, which welcomes patrons to a post-show reception with the actors. Thursday-Saturday performances are at 7:00 pm; Sunday matinees at 3:00 pm. General Admission/Free Parking. All performances take place at TSC’s new home, located at 7950 Trinity Road, Memphis 38018-6297. 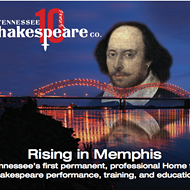 Tickets are on sale now at www.tnshakespeare.org and (901) 759-0604. Sponsored by Pat and Ernest G. Kelly, Jr. In his comedic masterwork, Shakespeare boldly reinvents his secret personal loves for the stage. There is his Dark Lady, his handsome Rival Poet, and his mother Mary Arden. In exile in the Forest of Arden are the singular creations of Rosalind, Touchstone, and Jaques (“All the world’s a stage…”). The result of the city-dwellers mixing with those of the country might otherwise have proved a gender-bending, female-driven, frothy scandal on the Elizabethan stage were it not for the revelations of heart and humanity in the woods – a scandal-plagued world righted. In nature, Shakespeare’s characters discover little use for the restrictive laws of the court and societal forms. The wild wood reminds us it is un-natural not to evolve, that clinging to the status quo imperils us. Shakespeare’s reward for the courage of his new characters is a surprise visit of spirituality in Arden where opposite worlds are united. The cast includes Caley Milliken*, Paul Kiernan*, Gabriel Vaughan*, Michael Khanlarian, Merit Koch, Nic Picou, Kilby Elisabeth Yarbrough, Claire Hayner, Shaleen Cholera, Carmen-maria Mandley, Marlon Finnie, Stuart Heyman, and Zach Williams. The full cast will be announced at a later date. Tickets are $39. The November 29 Preview performance is $19. December 6 and 13 are Free Will Kids’ Nights: children 17 years and younger are admitted free when accompanied by a paying/attending guardian (call the Box Office to secure Free Will tickets). Seniors (62+): $34. Students (18+): $19. November 30 is Opening Night, which welcomes patrons to a post-show reception with the actors. Thursday-Saturday performances are at 7:00 pm; Sunday matinees at 3:00 pm. Join us for jazz, brunch, and the writings of F. Scott and Zelda Fitzgerald acted out in the beautiful ballroom of the Polo Club. When the “golden girl” of Montgomery, Alabama, met St. Paul’s party-penning author, a romance as complex and unpredictable as the new jazz age would light America on fire. F. Scott and Zelda would create self-reflective literary works so clear of form and period as to place them in the vanguard of what we now call the Jazz Age and of the Lost Generation: The Great Gatsby, This Side of Paradise, The Last Tycoon, and Save Me the Waltz. The elegant brunch buffet and cash bar opens at Noon with seating through 1:30 pm. TSC actors will read and act the Fitzgeralds’ works from 1:30-2:30 pm. Tickets are $55 and include all but the cash bar. Attire: cocktail/business casual. Limited seating. Host members: Margaret and Owen Tabor. Join us in the spacious ballroom and lobby of the Memphis Hilton on Saturday, March 30, 2019, at 6:00 pm for an Elizabethan boardwalk, fun festivities, auctions, dinner, open bars, and a brilliant Broadway headliner to be announced shortly. Ten-seat tables are now available. Single tickets are on sale now through February 21 for $100. Single tickets purchased after February are $125. Attire is semi-formal and cocktail. Special Student Morning Matinees (flexible start times) of Macbeth and As You Like It are offered to school classes at just $10 per student. 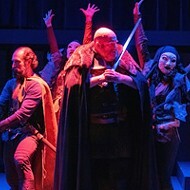 Macbeth matinees are October 23, 24, 30, and 31. 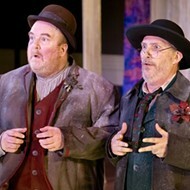 As You Like It matinees are December 4, 5, 11, and 12. These matinees are made possible by the Barbara B. Apperson Angel Fund.